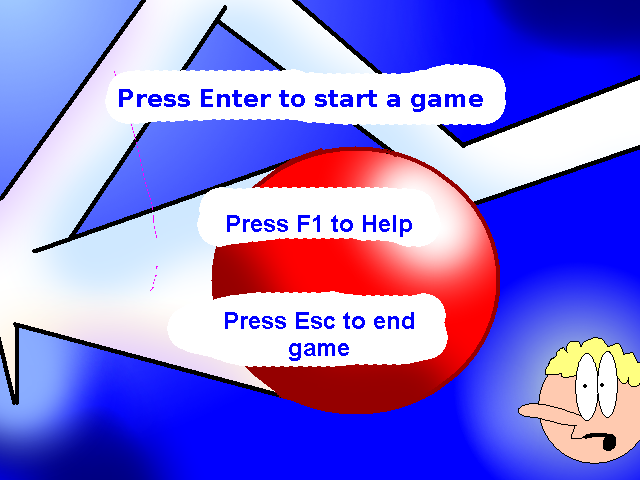 Start manipulate with red ball named Ball breaker by press any key. Ball breaker will bouncing against any other balls, platform, and padding of screen. 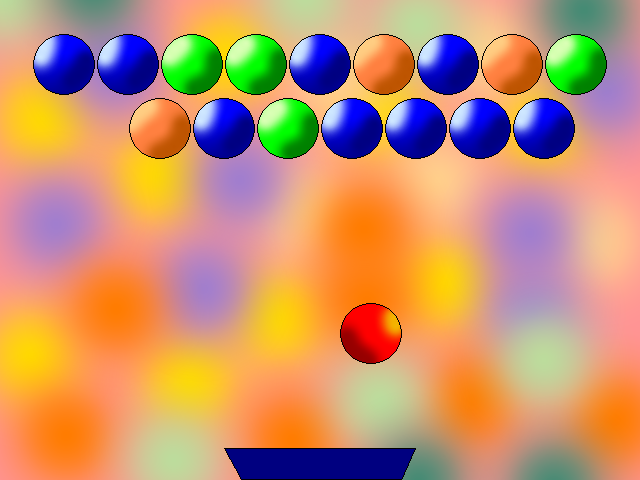 Ball breaker can jump over top of screen, thus it can to continue to next possible level without it need to break rest of balls in previous level. 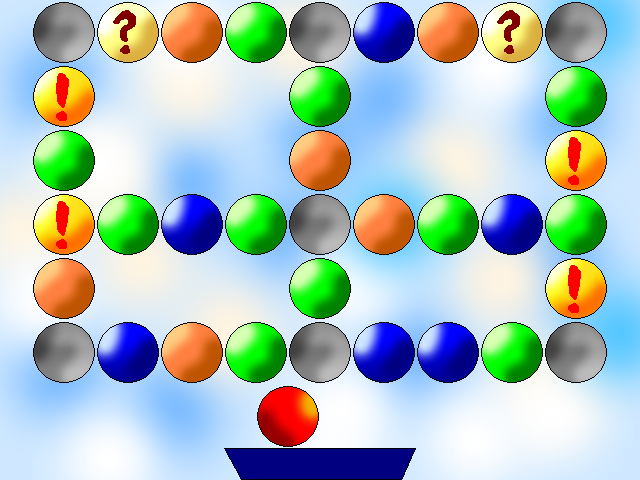 However, there is last level, where you must to break every ball, except grey one of course. Then you can to go over level and win game. This game has 14 levels. Blue, lime or orange ball - Balls to break them. Grey ball - There are no choose to break it, except of that shooting bullets can break it. Exclamation mark ball - If you break it, tiny red round face will appear in the place. 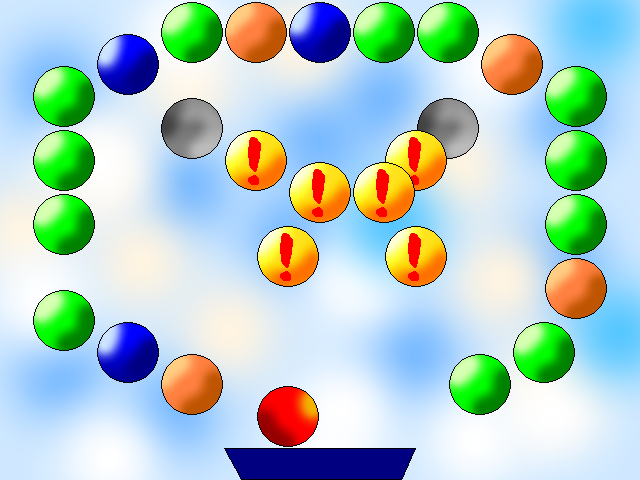 Red face will flying within level and it can also to randomly create many new balls, including grey one. Red ball can or needn't to disappear. You will have two other ball breakers to faster breaking balls, only for five seconds. Your ball breaker will change itself to huge pink one, for five seconds, which can to break also grey balls and Exclamation balls without this Exclamation make perform its properties. You will can to press space key to shoot bullets flying out of platform, for five seconds. You will get one more live. Space - If you did break one of question mark ball while caption of game window print "Press SPACE key for shooting bullets! ", so you can shooting bullets against every balls for five seconds, including grey ones, except Ball breaker itself of course.